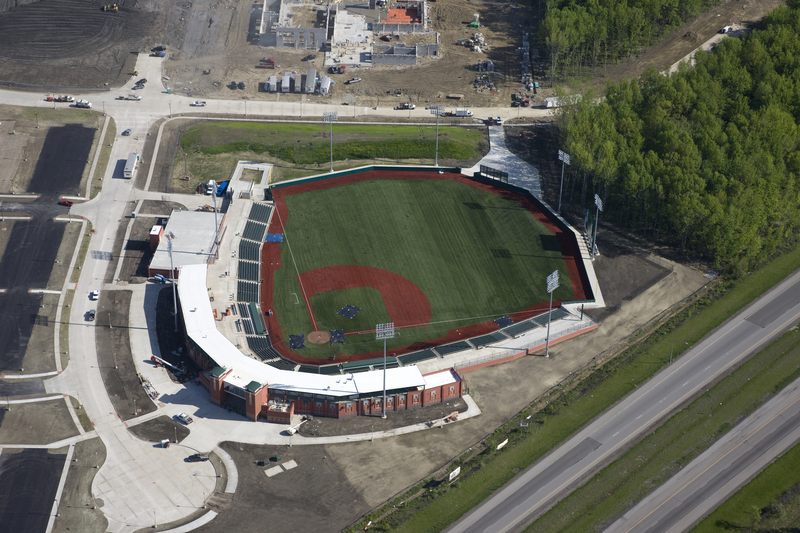 Infinity was the General Contractor for this 4,000 seat state-of-the-art minor league baseball stadium in Avon, Ohio. The 330,000 s.f. field facility includes 11 executive suites, 2 open suites, box seating, lawn seating, team offices. 8,000-sf of structures include a team shop, commissary, concessions, clubhouse, maintenance, storage and support facilities, a children's play area, and a "TigerTurf(R)" artificial field surface with an underground drainage system that provides low maintenance costs and a reliable playing surface. 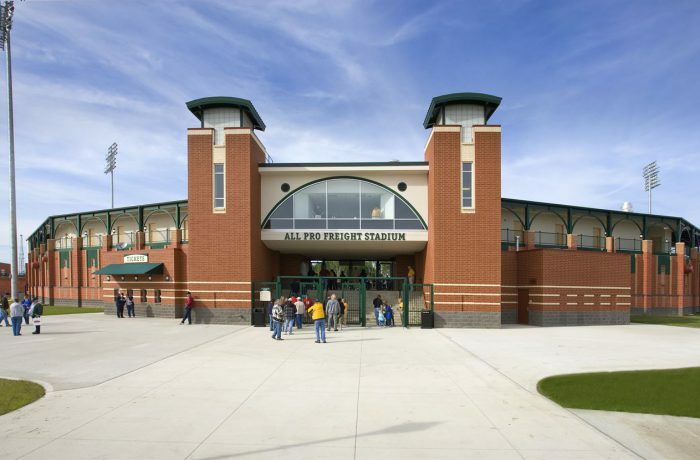 The ballpark accommodates local high school and college teams, with the Frontier League Lake Erie Crushers being the primary tenant. 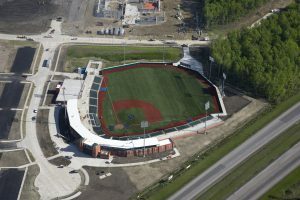 In addition, it is the home of the Cleveland State University Viking Baseball and the Mid-American Conference (MAC) Tournament. Infinity joined at the start of design and provided estimating, value engineering and constructability review to deliver a project the client could afford. We developed a unique weather protected and heated “cocoon” within which the concrete superstructure and façade of the stadium could continue through a very severe winter. We completed construction in 10-months to meet an opening day deadline in May 2009.